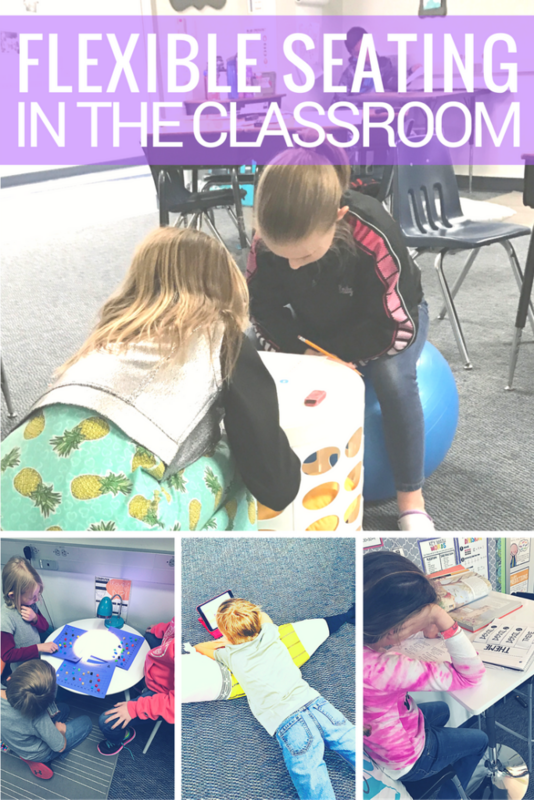 Flexible seating has transformed my classroom! TRULY it has! 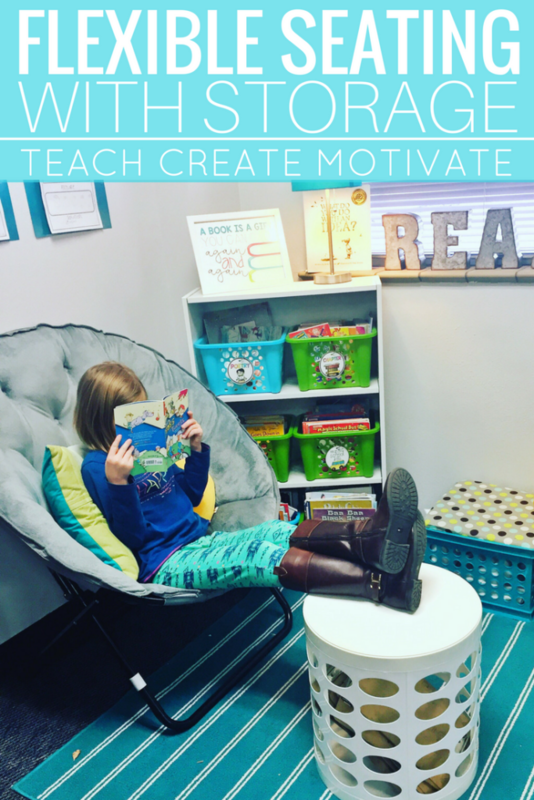 I wanted to share with you a few easy ways to make your classroom a student centered learning space! Oh my goodness. This has got to be one of my top favorite flexible seating options! They are also a favorite of every student in our class. Not only are they cute, lightweight, and perfect for sitting or working on…they are classroom storage too! Talk about a teacher’s dream. We have two white Otto Storage Stools in our room and we use them for everything. We store clipboards in one and pillows in another. My students will use them to prop their feet up while reading, pull it up to another table to work at, or even use it as a small table to write on. I even love pulling it up to our carpet meeting area to keep my read alouds or materials I am using during whole group. You can get these stools in many colors as well as solid or with holes. I love the look of the holes personally! They also sell them online at Target! This is my most expensive flexible seating option in my classroom. But I LOVE it. I consider it an investment because both the table and stools are super sturdy. I love that it does not take up too much space. It also creates an amazing feeling of home in our classroom. It sits next to a lamp with a cute plant on top. I also put pillows in each chair. My students love to sit at this table during station time, partner work, or read to someone. The table can be found HERE on Amazon and the stools are from Ikea ($20!)! 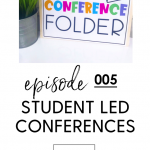 This is a fantastic and inexpensive way to allow your students to work around the room while still having a hard surface to write! Hobby Lobby has cute, colored, plastic lap desks and you can find some similar on Amazon HERE. I purchased these from HomeGoods during the summer. I love the look of them! They have a place for a pencil and even lift up to support a book or reading passage. 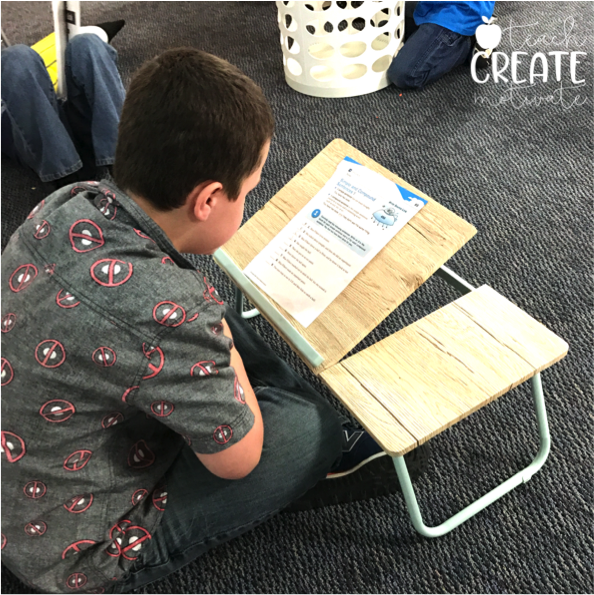 Any small table lowered to the ground is perfect for your students to kneel or sit and work. This table was on clearance at Hobby Lobby over the summer! I put a cute rug and pillow with it and stuck a lamp on top! 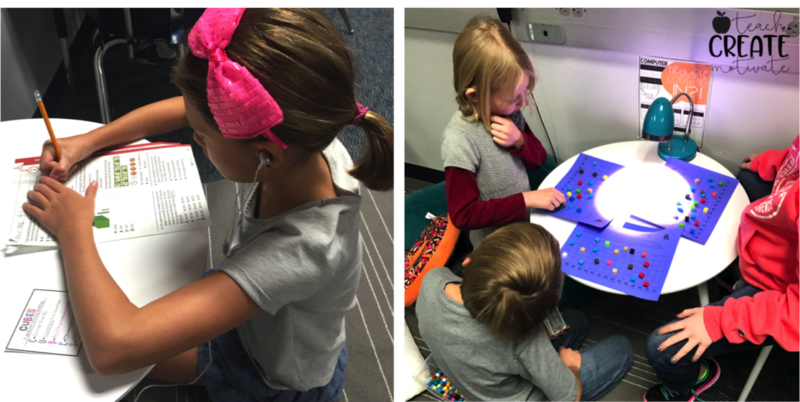 It is a spot in our classroom that gets lots of use! Grabbing a simple dorm chair for your library area can quickly transform the space! My students choose to read here as well as do their work! They love it. 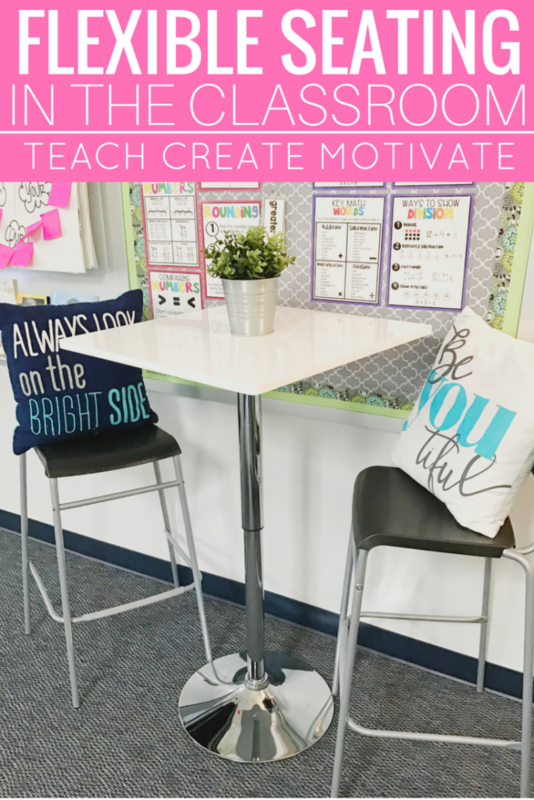 Flexible seating for your small group table for $5 each? Yes please!! I love these Ikea stools! We have 5 at our small group table as well as 3 each at 2 tables in the back of our classroom. The students know they can grab them at any time and work around the room! They are sturdy, small, inexpensive, and stackable! What makes these flexible seating options so great is that my students are easily able to move them around the room to work where they choose. They are inexpensive and some even come with storage options! 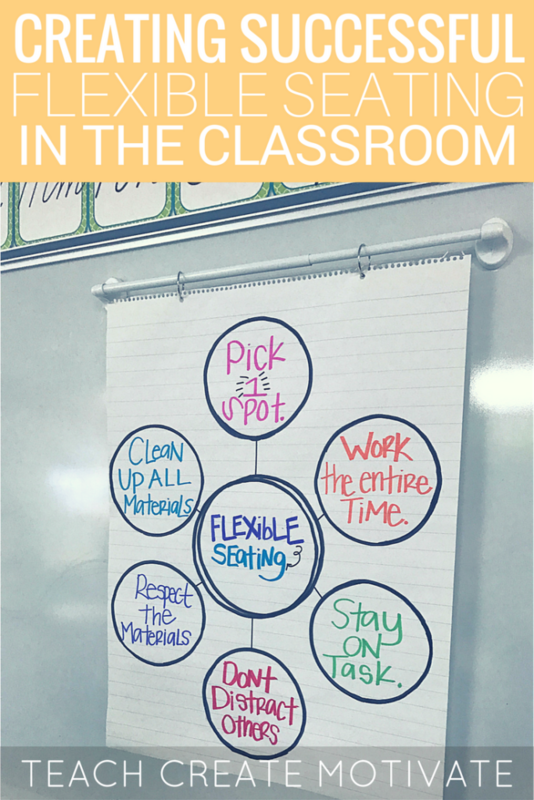 Managing work time is a very important component of using flexible seating in your classroom. Giving your students quick and efficient transition time, as well as allowing them to know how much time they have on each activity is crucial. Classroom slides with timers work WONDERS in my classroom! We love using them for anything and everything! 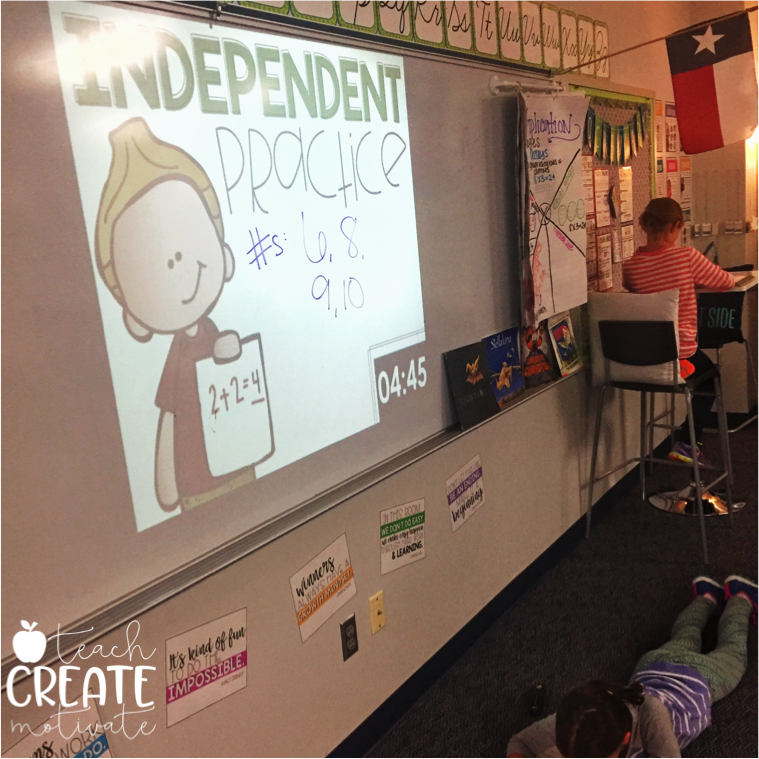 They help us stay on task, keep us engaged, and let us know when we need to move on to the next activity. Teachers have said this resource has changed their classrooms. 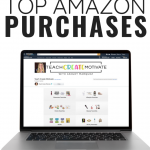 One teacher said, “This is an invaluable resource! My students thrive with visual timers and they help me stay on task instead of running over on groups, etc. …I’ve had it one day, it helped keep our day running so much better! THANK YOU!!”. Check out the timer slides in my store HERE! As teachers we always want the best for our students, but we don’t always have the means to purchase it all. You already put so much of your own time and money into your classroom so it can get hard to justify buying more things. 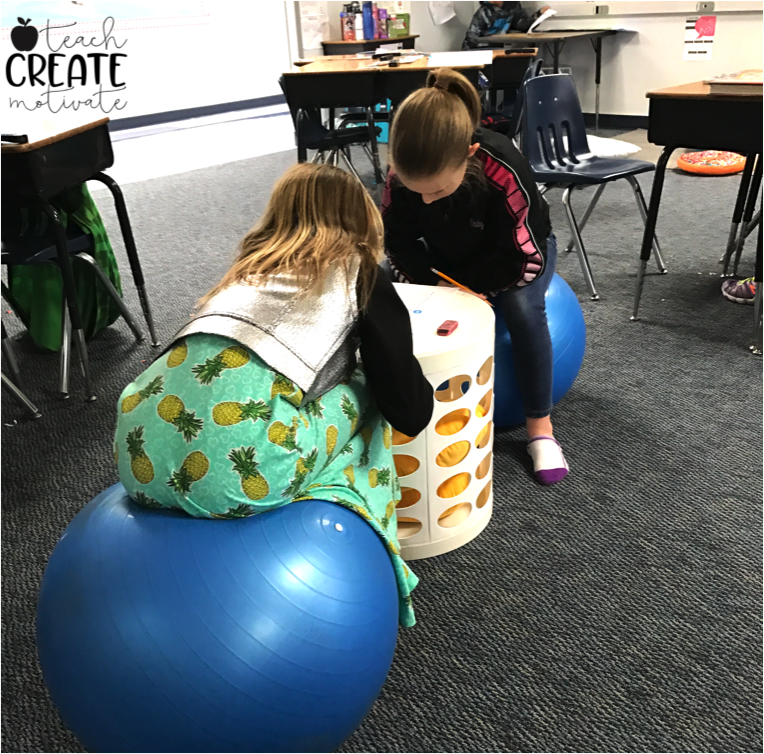 Adopt a Classroom is a fantastic way to get some of this flexible seating for your classroom! AdoptaClassroom,org “helps offset these costs by funding the classroom materials that students need to learn and succeed.” What I love the most about this company is that donors can give to whatever the classroom teacher may want or need. Simply click on “register” your classroom to make an account and add what you are needing. Donors can find your classroom on the website to give directly to you! 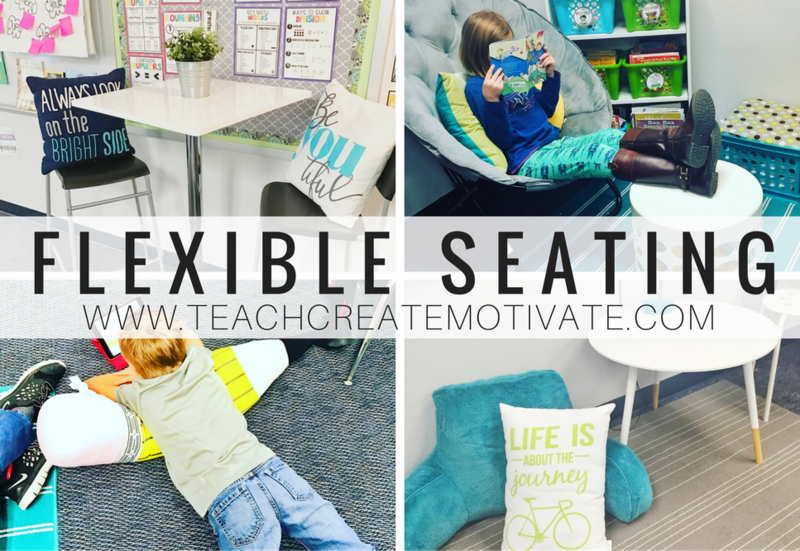 Flexible seating can transform your classroom and enhance your student engagement. It is a fantastic tool to improve your student’s focus and love of learning. There is no wrong way to incorporate this into your classroom. If you are wanting to try it out, I encourage you to jump right in! Thanks so much for sharing! A couple of questions, can you show what your whole classroom looks like & how your transitions would look when kids move from different seats? Also, what are you expectations during station work? What assignments do kids have if they finish before the timer? Thanks!! I have definitely jumped on the Flexible Seating band-wagon this year and have loved; however, I do have one question for you. Does each of your students still have a desk or a spot at a table? How have you solved the supply problem? Do you still have desks in your room? If so, how do you make it all fit? 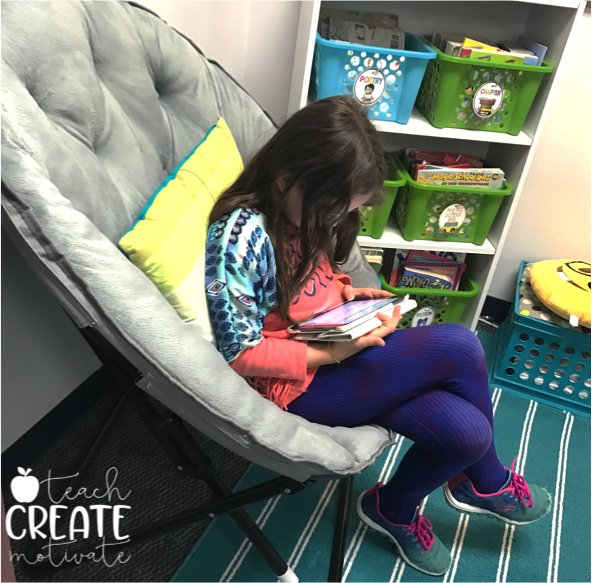 I am looking into flexible Seating and how it works for other teachers. I am tying to figure out the logistics of it. 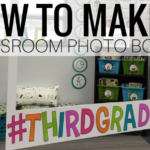 Your classroom looks so homey and like the kids are super comfortable! Thanks for sharing. Where do your students sit when you are instructing? I’ve been trying to do flexible seating even when I’m instructing and it doesn’t work well. I like to have them on the rug when I’m teaching but they say it hurts their bodies but sitting at their desk or a flexible seat is super distracting. What do you do? So where do th students keep their individual workbooks and supplies? I love this idea! I’m wondering how centers/rotations/stations work? 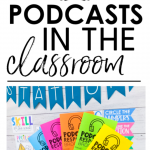 Do you have a specific place for students to go for each station? If so, do how does the flexible seating choice work? Thanks!